It is a broad spectrum anti-fungal effective in Tinea, Candida and Dermatophytes. Clotrimazole acts by blocking synthesis of ergo sterol and thus inhibiting cell membrane synthesis. It soothes skin irritation and provides relief from itching and effectively treats topical fungal infections and Vulvovaginal Candidiasis. It is suitable for intra-vaginal and extra-vaginal application in the treatment of Vaginal Candidiasis. Clotrimazole prevents re-infection and effectively relieves the symptoms. 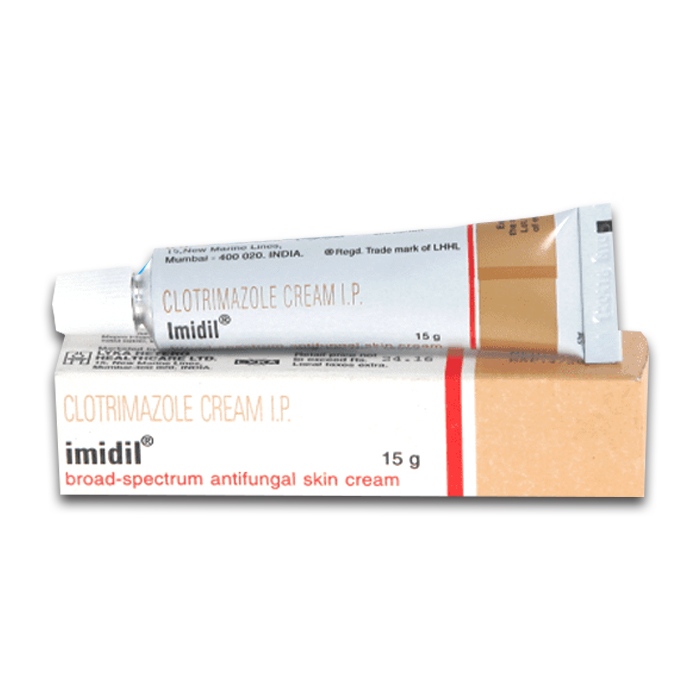 Imidil Cream is used in the treatment of fungal skin infections.